August Pullman of the children's book Wonder invites us to explore wonder and kindness. August Pullman is a 10-year-old boy who likes Star Wars and Xbox, ordinary except for his jarring facial anomalies. He shares his story in Wonder, a children’s book written for all ages. August pulls classmates, parents, and teachers into a dialogue about kindness and wonder. Six million people have read this book and it will be released as a film in November 2017. Are we just hungry for a sprinkle of wonder and kindness or is there something deeper going on in our communities and workplaces? Kate Sears, Marin County Board of Supervisors, recently reminded the graduates of the Leadership Academy of the importance of civility. She invited the audience and graduates to join her in promoting civility throughout our communities. Her presentation was an invitation to reach out to each other with kindness and wonder. How would you rank your workplace in civility? Are people listening to each other? Are they being curious about different perspectives? Do they approach dialogue with wonder and respect? What role does kindness play in your community? The media is loaded with stories about a lack of civility, respect and kindness. 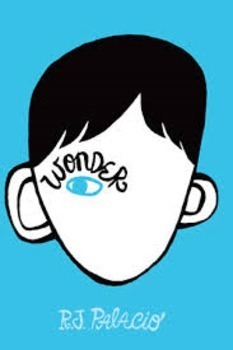 What would be the impact of more stories on the outcomes associated with wonder , kindness and curiosity. Would wonder create more wonder? Kindness create more kindness? August Pullman invites us to look hard at ourselves about wonder and kindness. Perhaps, we can invite each other into the same dialogue. Give it a try and see what happens. Or if all else fails…consider this response.